Healthy, functional, and beautiful adult teeth begin with implementing positive oral health habits at an early age. Introducing your child to proactive dental care early will help set the stage for ideal teeth and gum health well into the future. At the dental practice of Bryan Hill, DDS, our team provides dental care focused on the individual needs of your child. Dr. Hill truly enjoys building trust with our young patients right from the start while establishing a comfortable and respectful atmosphere that helps keep your child interested in their oral health as well as looking forward to their bi-annual dental visits. We invite you and your young one to discover the compassionate care we have provided the Spokane community for over 20 years! Contact us to get your child on the right track towards a bright dental future today! What Does Child-Focused Dentistry Involve? Children’s dental care focuses on the oral health needs of children from infancy through the teen years. This includes the diagnosis, monitoring, and treatment of various dental and oral health issues. It also includes working to alleviate dental anxieties, provide nutritional advice, and educating children and parents about the importance of proper at-home hygiene and professional dental care. Dr. Bryan Hill and his team love to help children achieve healthy smiles, whether that is made possible by performing an important procedure or educating parents on how to improve their smile at home. One of our primary goals is to help your child understand just how important the role of essential oral health plays to their daily life. It is recommended by our Spokane team, as well as The American Dental Association that parents, family members, or guardians bring in their children as soon as their first tooth emerges, or by their first birthday. Although baby teeth aren’t permanent, diligent care for them is still important. Ensuring the ideal health and function of baby teeth is vital to the proper development of speech, eating, and emerging permanent, adult teeth. 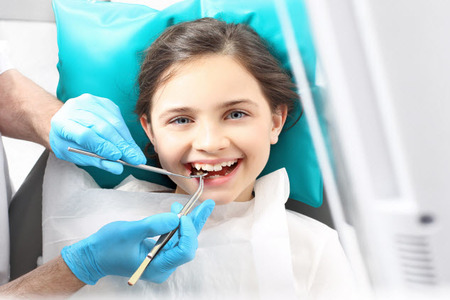 Visiting a child-friendly dentist who is dedicated to the oral health and comfort of your child will help them become more confident and excited about their dental care. First visits help both parent and child get comfortable and familiar with the dental office environment. This initial visit sets the standard for routine dental appointments for many years to come and can significantly help reduce the chances of your child developing dental anxiety or fear. Examining your child’s teeth, gums, and oral environment allows our dental team to properly detect any underlying dental issues that are present and begin treating them before they progress into more concerning problems. Bi-annual dental exams help our team establish a standard for your child’s health, how their teeth are developing, and provide essential education for you and your child. Teeth cleanings are very important for dental health. Children are at high risk for cavities during the first decade of life. 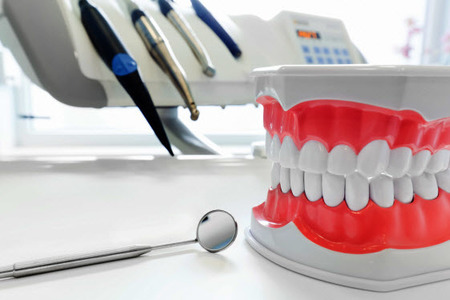 Professional teeth cleanings remove plaque, prevent cavities, and help identify any existing cavities. 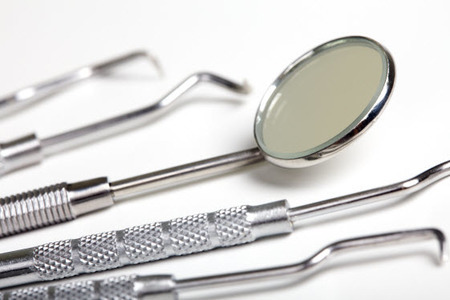 Without bi-annual dental cleanings, cavities can get bigger, causing more serious problems. Regular teeth cleaning is the best way to keep your child's smile healthy and beautiful while helping avoid longer, more complex visits to the dentist for fillings or other restorations. The importance of thorough dental education cannot be understated. It is vital that parents are coached in how to care for their child’s developing smile, how to keep it cavity free and healthy, and how to support positive oral hygiene habits. Patient and parent education also extends far beyond brushing and flossing. Our team can also advise you on proper nutrition and ways to encourage healthy snacking. 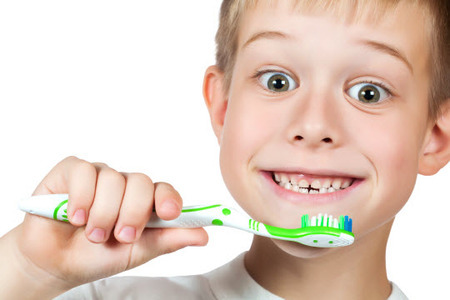 Healthy dental habits start in childhood. Dr. Bryan Hill and his team welcoming the opportunity to work alongside parents when helping children to break unhealthy oral habits. If you know or suspect your child is doing any of the following, we urge you to contact our Spokane dental office today. Catching unhealthy habits early in life significantly increases the chances of your child maintaining a beautiful, functional, and healthy smile for many years to come. Children can often inherit fears and anxieties because of the unfamiliar environment, or from their parents. Getting your child into the dental office as early as possible allows them to understand better that there is nothing to be afraid of when receiving care. There are many things you can do to ensure your child’s smile remains healthy, from birth to their teenage years. Here are some helpful tips recommended by Dr. Hill and his team. For newborns, wipe the gums with a wet, clean cloth to keep their smile clean. For children younger than three, use an amount of toothpaste about the size of a grain of rice. For children as young as three or a little older, use a rice grain amount of toothpaste and help your child gently brush their new baby teeth. At this age, children love to mimic the habits of their parents. Help your young one develop healthy oral health habits early on by brushing your teeth with them. Parents should assist with brushing and flossing until children are mature enough to begin caring for their oral health on their own. Because your child’s teeth are still developing, they are more vulnerable to decay and cavities. Along with staying diligent about their bi-annual dental visits, you can significantly help your child’s smile at home by instilling a healthy nutritional diet, limiting sugary snacks and soft drinks. You can also help keep them interested in their oral health by coming up with games and rewards for taking care of their teeth properly. Letting them pick out their toothbrush and toothpaste at the store is a good way to encourage independence and enthusiasm. Making at-home oral hygiene fun and exciting helps implement long-lasting confidence in your child’s dental care, significantly reduces dental anxiety, and gives your child a chance at a healthy, beautiful smile well into adulthood. Cavities aren’t just for young children. Teens are very likely to develop cavities because of poor nutritional habits and sporadic hygiene. When your teen eats sugary foods or drinks soda, juice or energy drinks, they’re at risk for tooth decay and gum disease. To keep your teens' teeth healthy, make sure they brush twice a day and floss once daily. If your teen is active in sports, they should always wear a mouth guard when actively participating. Today’s teens are becoming much more aware of their appearance as well as potential body odors and bad breath. Ensuring they brush their teeth twice a day, for at least two minutes each time, and flossing once a day helps keep their breath fresh. Regular dental check-ups and cleanings also help keep breath fresh! Teens can also benefit from staying away from tobacco products that can increase their risk for gum disease, oral cancer, and not to mention….bad breath! Although it may look cool, think again when letting your teen pierce their lips, tongue or any part of their mouth. Oral piercings such as tongue piercings can result in chipped teeth, infections, nerve and gum damage, drooling, taste loss and even gum disease from faulty materials in the jewelry. 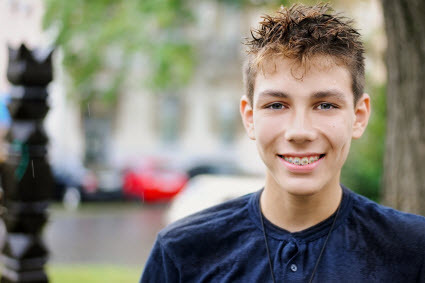 If your teen is feeling less-than-satisfied with their smile, they may benefit from professional cosmetic dental treatments such as teeth whitening. Contact us to find out more! Discover Personable and Compassionate Dental Care for Your Child! Dr. Bryan Hill makes an effort to educate young patients on the importance of their oral health. With the power of knowledge and regular visits, we hope to promote a lifetime of happy, healthy smiles. Contact us today to schedule your child’s dental visit!